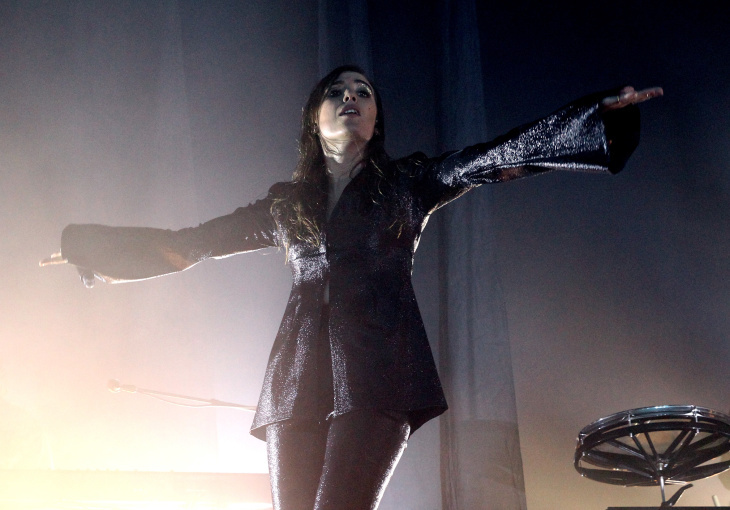 Swedish indie artist Lykke Li is launching a new L.A. music festival with an all-female lineup. The songwriter made the announcement Wednesday morning via Twitter — "I wanted to to create a special day to celebrate women, culture, and the arts. So I got together with some of my closest friends, and organized a festival to do just that," she wrote. 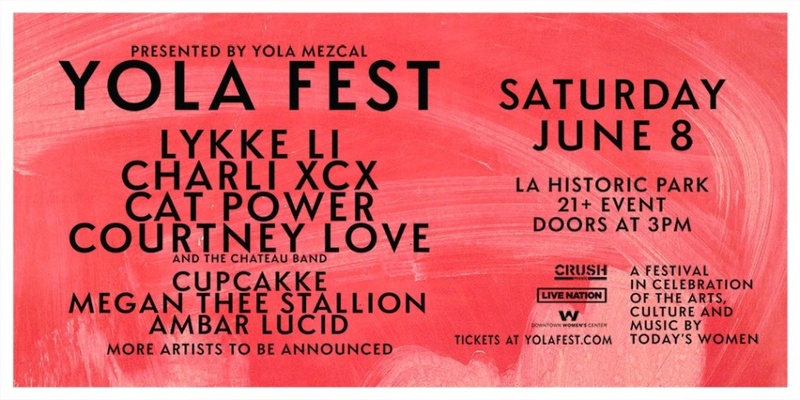 The first annual Yola Fest is slated to go down on Saturday, June 8 at L.A. Historic Park, a 32-acre space wedged between Dodger stadium and Chinatown, with views of the downtown skyline. Li will headline the show, along with the British electro-pop songwriter Charli XCX, indie-folk musician Cat Power, and the one and only Courtney Love. Additional artists will be announced as the festival date approaches. Why the name? Well, the festival is sponsored by YOLA Mezcal, a female-run brand that Li co-founded with Yola Jimenez and Gina Correll Aglietti. The company motto: "Run by women. Bottled by Women." The announcement comes during the lead-up to Coachella, which has struggled to reach equal representation on stage over the years. In 2016, the Huffington Post did an analysis of several mega-festivals' performer demographics and found a pretty stark gender gap. Coachella's 2016 lineup featured 169 male artists and just 60 female performers (that number includes both all-female and mixed gender bands). Lollapalooza's 2016 slate was just as bleak — 124 acts fronted by men and only 47 by women. The Post also analyzed data from Bonnaroo, Electric Forest, Governors Ball, and Outside Lands, among others. Across the board, male acts dominated, making up between 66% and 93% of performers. Ariana Grande is headlining Coachella 2019, but she's only the fourth woman to do so, in the festivals 20 year history. Last year, 45 music festivals pledged to reach gender-equal lineups by 2022. But until then, Yola Fest can carry the torch. A portion of the proceeds will benefit the Downtown Women's Center, which serves homeless women on Skid Row through supportive housing, a women's health clinic and intervention care. Tickets go on sale Friday, Apr. 5 at 10 a.m. No word on price yet.